It's time to clear out the heavier winter hair care products and bring in the the lighter, appropriate products for this season. Alterna has many anti-humidity products for all hair types. Including, Bamboo Anti-humidity Hairspray, Bamboo Anti-frizz styling lotion, and Bamboo Kendi Oils. A lot of people are curious about the current trending of Gel Nails, but are unsure of the effects on the natural nail underneath. 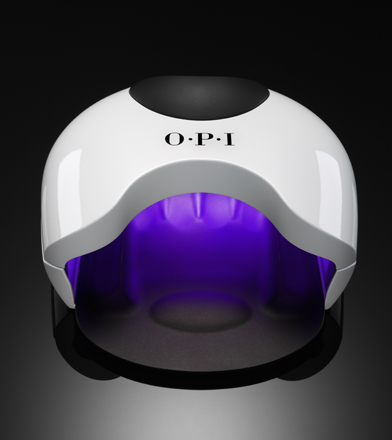 Gel polish is a long lasting polish that can last on average 2 weeks without any chipping. The polish should be soaked off using acetone to avoid damaging the underlying nail. Nails should remain unaffected if soaked off properly. Soaking your gels off helps maintain the health of your natural nails. We offer gel soak offs as a $10 service in the salon OR to save time & money you can do this with a soak off kit at home! The kits are available for purchase at Solutions for $5. Eat paleo, vegetarian, vegan, low fat, low carb-high fat, high fat-low carb, Mediterranean, Jenny Craig. Use olive oil, canola, corn oil, coconut oil. Take this pill to melt fat, this one for joint health, this one for heart health. Do yoga, walk, run, HIT, Pilates. Use PCA, True Beauty, Mary Kay, Pro-Active, Neutrogena. Just like our diets, supplements, medications, and exercise, skin care can be an overwhelming choice to make. We’re inundated daily with the latest fads, buzz words and “expert” advice on what products will add quality to our life, our diet and our skin. I can’t speak to the choices you make in your diet, exercise or supplements BUT, I can help you make informed choices for your skin care. At Solutions, we offer three wonderful brands of skin care: PCA, Cures, and Plantogen. Each offers its own solution to your skin care needs. If you walk into our Salon, our wall of products can be overwhelming. That’s where your esthetician enters the picture. We’ve studied skin care. We’ve studied our brands. There is no one size fits all and we’re here to help you make the best choices for you – to address YOUR needs. The best entrance to a successful skin care routine is a facial. During that time, your esthetician will analyze your skin to determine what products will best fit your needs. Sun damage? Dry skin? Oily skin? Fine lines and wrinkles? Acne? We have products to address every one of these needs. If time constraints or budget do not allow you to have a facial at this time, all is not lost! Stop by and ask to see an esthetician to analyze your skin care needs and recommend products (better yet, call ahead to ask when a good time for a consultation would be). Tell us your needs and we’ll choose products to address them. Having your hair done and sitting for a while to process your color? Ask if an esthetician is available to speak with you regarding your skin concerns. Not only will you leave with great skin and hair products, but you’ll have completed two tasks at one time. And to sweeten the deal, we take returns on any products that don’t help to achieve the results you’re looking for. Skin not responding to the products you’ve purchased? Bring them back! Talk to us and we’ll recommend another based on your feedback. It’s a no-lose situation. Remember, we are in the beauty business. We are here to help you find the answers to your skin care. Just ask. We’ll be happy to help! That’s what we do. 2016 is the year for BIG hair. Unfortunately, not all of us are blessed with extreme natural volume. 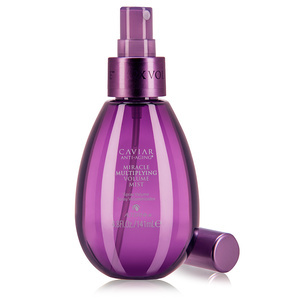 But fortunately, Caviar heard our cries and created the Miracle Multiplying Volume Mist. To use this product spray root to end on wet hair and comb through. Round brush blowdry and BAM, volume!!! If you want a wave, grab your curling iron and get soft volume curls. What separates this product from others is that the volume extends from root to ends. Differentiating it from Bamboo Root Lifter, which focuses on the root only. Plus, being a Caviar product you know you are receiving the highest quality of ingredients. 5 Reasons to Book a Massage TODAY! Downward head posture-How much time do you spend looking down? Most people will now spend a majority of their time looking downwards. Either you are a student, you work on computers, text, drive, or have small children to name a few, life encourages the act of looking down. This can be a major pain in the neck, often neck tension is due to muscles trying to support your head. On average, the human head weighs 8 lbs, when placed in alignment, this typically isn't a problem, but when we look down, we lose the curvature of the spine that absorbs impact. This means now the neck muscles have to kick into high gear, thus tightening the surrounding areas as well. High Stress Lifestyle- Inflammation is one of the number contributor to many diseases. When your body can not deal with your high stress lifestyle, like eating on the run, not exercising due to lack of time dedication, or just a general neglect of dealing with stress, you build inflammation. When you do this, your body starts to hurt. There have also been some research articles starting to link depression to inflammation as well. One way to reduce stress and thus the harmful effects of repeated stress on the body is to get a massage. Monitor Skin and other health conditions- What many people can't do is see their own back. You know where I'm staring when I do a massage, your back! Which means I get a good view of any suspect moles or skin conditions. I've had several clients I've referred to doctors to check skin conditions or suspect moles. Luckily, none have been cancerous, however, if you can't see it, you can't be sure. So my advice is besides getting a massage, is to have you doctor check your skin at least once a year, and if possible, take pictures of any moles to note changes. New Years resolutions- Okay, "I'm going to get fit this year", I admire your enthusiasm. And by all means, exercise. The problem can arise when someone works too hard, too quickly and leaves themselves prone to injury. I can help your muscles keep from being tight, thus leading to less chance of injury. I can also help when injury arises by providing an environment with a professional, who knows how to release and relax the area. Plus, massage can be helpful in Delayed Onset Muscle Soreness. Mood- Now this one really hits near and dear to me, as I personally have depression and anxiety. Both can cause body aches and tension, but more than that, they can make you feel alone. Sometimes, it is simply nice to have someone care for you. As a massage therapist, I believe my number one job is to create a loving, safe environment in which clients can feel variable and know that they are not judged. I've had an array of reactions from the process of being touched, as many people may go days without so much as a hug. We human beings have lots of touch sensitive skin, we need touch. 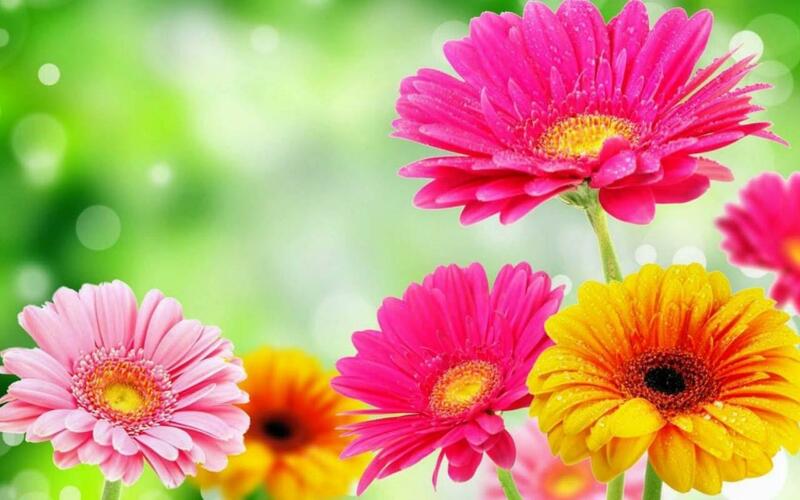 When we are touched it creates a sense of calm and belonging in our self, which can do a lot not only to stabilize our moods but renew our spirits.